Take one of her quests, personally I take sra'vess wetwork, however, the others should work. Fly away to Dusklight Hollow (Big fallen Tree) She should despawn and then respawn once you get to DH. Fly through the tree and ensure she stays with you. After that, she will follow you anywhere in Pandaria, including Timeless Isle! 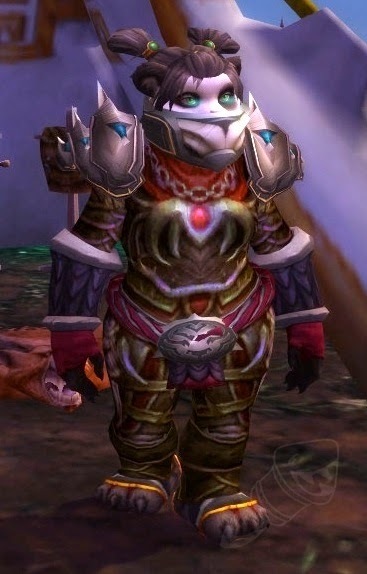 Please note, she is the only NPC fighter that casts the spell Hunter's Gaze, which is allows you to do 15% more damage on the target she casts it on.